The price of Nigeria’s Bonny Light crude oil reached $67.10 per barrel to emerge the highest priced product among members of Organisation of the Petroleum Exporting Countries (OPEC).Apart from Bonny Light crudes, other Nigeria’s oil grades such as Brass River and Qua Iboe also appreciated in value to sell at $65.32 and $61.22 per barrel respectively yesterday at the international market. United Arab Emirate’s Murban; Algeria’s Saharan Blend and Qatar Marine also recorded impressive performance to settle at $66.83, $67.05 and $66.83 per barrel respectively.The Bonny Light is in high demand specifically by American and European refineries. It is therefore a major source of income for the oil-rich nation. The very low sulfur content of Bonny Light crude makes it a highly desired grade for its low corrosiveness to refinery infrastructure and the lower environment impact of its byproducts in refinery effluent. At a broader level, at the New York Mercantile Exchange, United State West Texas Intermediate (WTI), crude futures traded at $60.45 a barrel during the trading hours of yesterday, recording its highest since June 2015. Brent crude futures recorded a one per cent decrease in price at $66.81 a barrel yesterday, after hitting $67.29 a barrel few days ago.West Texas Intermediate (WTI) and Brent, two major crude oil benchmarks, account for 70 per cent of the weighting in the Standard and Poor’s (S&P) Goldman Sachs Commodity Index (GSCI) energy index. As a result, the energy index tends to follow major price movements in the crude oil market. The weights associated with individual commodities within the S&P GSCI index are updated every year in response to changes in global commodity production quantities and futures contract trading volumes. Although still lower than in 2011 through 2014, crude oil prices rose for the second straight year after a crude oil production-cut agreement was executed among the OPEC)and some non-OPEC countries, which partially constrained global crude oil production. The agreement came into effect in January 2017 and will continue through the end of 2018. In addition to supply-side factors, strong economic growth in both developed and emerging markets has led to higher oil demand. 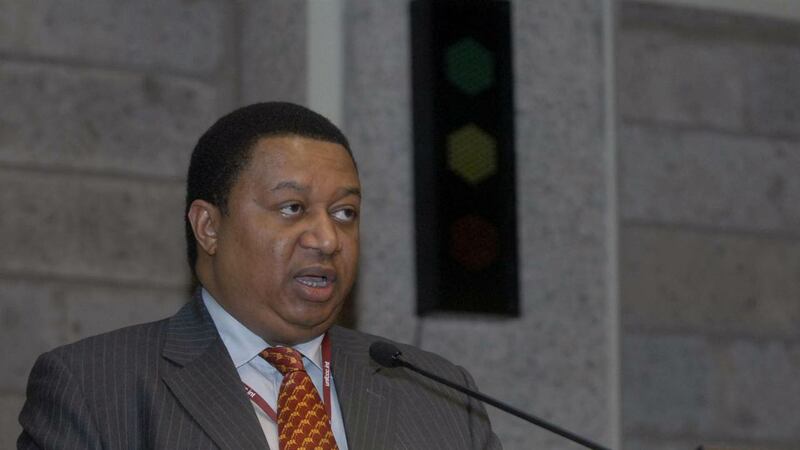 OPEC Secretary General, Mohammad Sanusi Barkindo, during the association’s yearly general assembly, attributed the improvement in prices of crude oil to the declaration of cooperation by OPEC and non-OPEC members. Barkindo stated: “Together with our non-OPEC partners, we have co-authored a new chapter in the history of this industry, one that is about cooperation, stability and sustainability. Our work together over the past year has forged new relationships between OPEC and non-OPEC countries, which never existed in the past. This has led to new friendships, new opportunities and laid the groundwork for ongoing future cooperation. We can be very proud of what we have achieved working together.